At Bonita Farm we believe that racing partnerships ensure a successful and fun experience for our owners. Team up with us or assemble your own partnership to start your journey to the Winner's Circle. 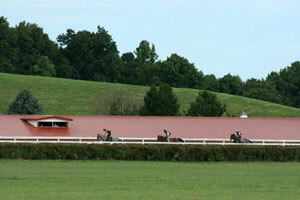 Periodically, Bonita Farm sells half ownership in young horses bred on the Farm. This is an excellent way for first- time owners to economically enter into the business. All registered Maryland-breds eligible for Maryland-bred Fund Bonus Program and certified Maryland Million. needs and become a participant in the Sport of Kings!